Knockout (KO) mice developed by homologous recombination (HR) have become useful tools to elucidate gene function. However, HR has low KO efficiency and is time-consuming, labor-intensive, and expensive. ‘Gene editing’ has received much attention for efficient genetic manipulation. As generation of KO mice is simplified, KO mice produced by HR can be feasibly reproduced using gene editing. However, phenotyping analysis and comparison between KO mice produced by these two techniques is necessary. We generated p53 KO mice through gene editing and compared their phenotype with the already reported HR-mediated p53 KO mice. Tumors occurred in 36 (73%) of 49 homozygous KO mice and the mean age of occurrence was 23 weeks, with lymphoma (64%) and sarcoma (23%) being the most common. Tumors were also developed in 12 heterozygous mice and the mean age of occurrence was 40 weeks, with sarcoma (54%) and lymphoma (46%) in high proportion. 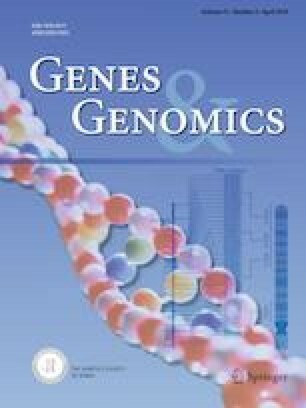 Homozygotes had a mean life span of 157 ± 52 days and developmental abnormalities were found in females compared to in males (P < 0.05, P < 0.001). We analyzed the basic phenotype of p53 KO mice and observed no significant difference from the conventional HR-mediated p53 KO mice. This work was supported by the Ministry of Food and Drug Safety (MFDS) and the Brain Korea 21 PLUS Program for Creative Veterinary Science Research, Research Institute for Veterinary Science and College of Veterinary Medicine of Seoul National University. Ukjin Kim declares that he has no conflict of interest. C-Yoon Kim declares that he has no conflict of interest. Hansel Oh declares that she has no conflict of interest. Ji Min Lee declares that she has no conflict of interest. Seo-Na Chang declares that she has no conflict of interest. Bokyeong Ryu declares that she has no conflict of interest. Jin Kim declares that he has no conflict of interest. Han-Woong Lee declares that he has no conflict of interest. Jae-Hak Park declares that he has no conflict of interest. All experimental procedures were approved by the Institutional Animal Care and Use Committee (IACUC) of the Seoul National University (Protocol Number: SNU-150512-1-3). Experiments were conducted in accordance with guideline set by the Committee.